After installing wordpress, first page that you will see is index page that actually a blog page. 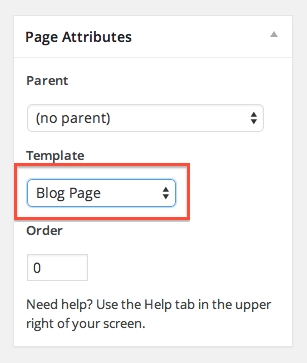 But if you change your front page to other page (ex : Front Slider), than you will need to create a page that will show blog. On JPhotolio Page Setting metabox, you will not see any option. But all option for blog available on JPhotolio Themes Setting. 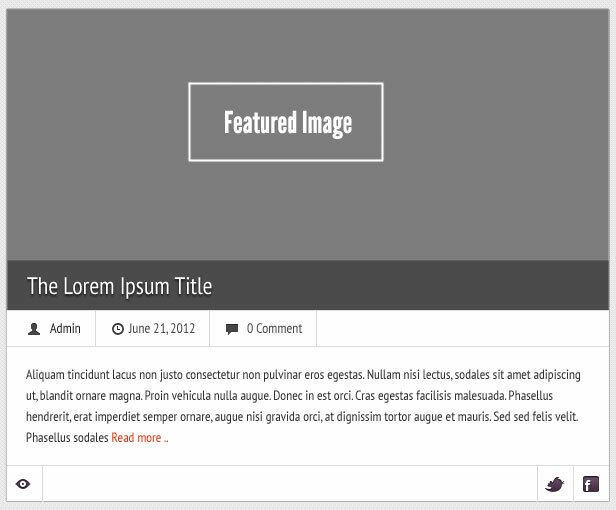 On Front page display option choose a Static Page and change Posts Page to your newly created blog page. All option on this page will affect single blog entry, archive, search page, and blog list it self. Number of post : Number of post that will show on blog page, archive page, and search page. if you have more post, it will splitted with paging. Hide blog meta : Someblog don’t want user know detail about who is writing blog, or when its published. You can hide meta blog post. Default state of this option is ON. When you creating new post / page, go to bottom side of right sidebar, you will find Featured Image metabox. For upload or use uploaded image instruction please follow this link . And right before you click insert post, change it to click use as featured image.